Top-rated Innovation Training from Specialists. 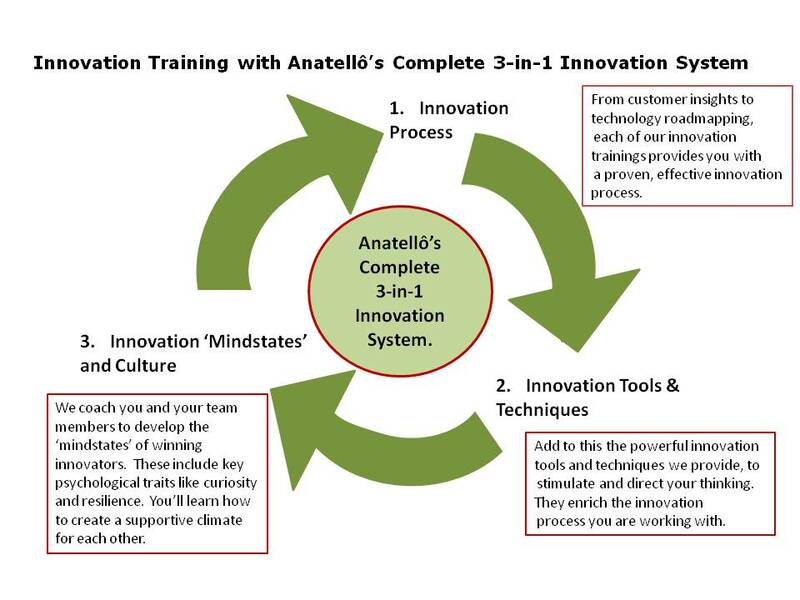 Sign up for innovation training with Anatellô and you’ll be on your way to becoming a super-confident innovator. You’ll receive world class training, designed by people who know the innovation literature and the innovation research, and who just as importantly, can design and create courses that stimulate and engage you. Our highly experienced trainers have been helping clients innovate in all aspects of their organisations for many years. Whether you're from a private or a public sector organisation, and no matter which industry area you serve, you can rest assured that you’ll be covering topics that are highly relevant to you. This includes product innovation, service innovation, process innovation, business model innovation and more. Get in Touch Now to Discuss Your Innovation Training Requirements. Anatellô’s innovation training courses are designed to give participants a step-change in innovation know-how, and to build up confidence to innovate. You’ll return to the office with effective innovation processes at your fingertips, new thinking skills top of mind and all fired up to innovate. You’ll quickly be demonstrating to your senior management just how much progress you’ve made, by the incremental revenue streams that will flow from the new products and services you’ll develop for customers. You'll impress your managers further when your new skills help you ramp up returns on the company’s innovation investment.. Innovation training equips you to ‘roll with it’ and respond when your customers's needs change. You’ll know how to identify what their pain points are, and find yourself itching to come up with effective and profitable solutions to their problems. Along the way you’ll be creating more value for your organisations’ shareholders, and seizing the opportunities that new technologies are presenting. In short, after taking part in Anatellô’s top quality innovation training you’ll be innovating faster and smarter. Why Choose Anatellô for Your Innovation Training? Proven Innovation Processes. Processes signpost innovation teams through the unavoidable uncertainty of innovation. Working with an effective process frees up the team to channel their minds into creativity and innovation activities, safe in the knowledge they won’t get ‘lost’ along the way. Powerful Innovation Tools and Techniques. You’ll learn the difference between creative, analytical and insightful thinking and how and when to use each. You’ll discover how your repertoire of new thinking skills means you can harness even more from that superb innovation machine – your brain! Resourceful Innovation Mindstates. We’ll show you how to get curious when needed, stay openminded to new information and ideas, and resilient to stay the course when the going gets tough. You’ll be ready to face the inevitable ups and downs of innovating. Anatellô's Top Quality Innovation Training Content. We’ll share with you material we’ve developed for our own extensive body of knowledge. This includes leading edge research into the neuroscience of creativity and innovation. Through the developments in neuroscience, we can understand some of the actual processes inside the human brain that enable creativity and innovation. We draw on such findings when we design your innovation trainings. This type of research can help us to help you learn how you can be ‘at your best’ at all times for your creativity and innovation projects. Our top quality content inspires teams at all levels of organisations - including board level. What’s more, recent purchasers and participants score Anatellô’s innovation courses a massive 86% average for content, delivery and business building outcomes. Complete innovation training programmes for organisations which develop participants from innovation beginner to innovation leader. Anatellô’s core programmes that we tailor or custom-design for you, so they meet your needs exactly. A huge range of innovation topic options. We can be flexible on how long your training lasts. We’ll keep you motivated throughout by balancing theory and practice. We'll encouraged you to learn by discovery and doing, which helps you retain the learning. We often invite you to bring real business problems to the training workshop, which ensures that the training is highly relevant to you. 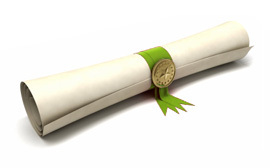 You’ll be trained by highly experienced innovation practitioners. They’ll bring the training material alive for you and inspire you with real life innovation experiences.